what if you can watch all of it on your computer/PC/laptop? Amazing, right? You can also go to https://jiotv.com/ and login to watch online TV but website is under construction. 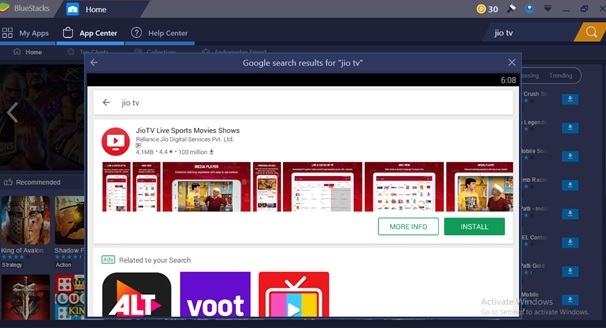 Follow below steps to install Jio TV App in your laptop/computer. Step 8. 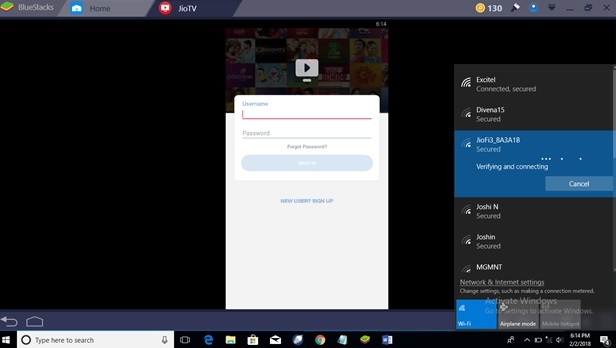 Connect to your Jio Wi-Fi hotspot network, give your user account name and password. Its done, Hurray! Emulator is a hardware or software that enables your computer system(Mobile)to behave like another computer system (laptop), it enables the 2nd system(Laptop) to run software designed for 1st system(Mobile). Emulators are easy way of using play store apps in your computer, all you have to do is install any emulator (BlueStacks used commonly), search and install the app. You are good to use the app you wish for.